All of the attention right now may be on the new Model 3, but Tesla is already laying the groundwork for its next EV, a reborn Roadster. 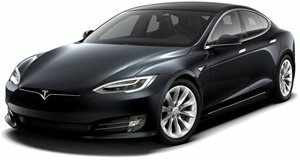 This isn’t the first time we’ve heard this news, but Teslarati has learned how Tesla might be planning the EV’s initial launch and how it’s possible to, in theory, receive a free car. Screenshots of the Tesla user app sent to Teslarati from YouTube channel Like Tesla shows an update to the company’s referral program, revealing the "Secret Level" feature. But let’s back up for a moment and explain Tesla’s previous referral program. 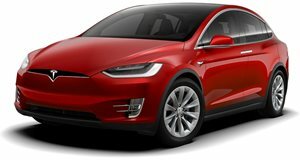 Basically, it rewarded existing owners with vehicle upgrades by referring five friends who end up buying a Model S or Model X. The Like Tesla people referred the most sales on a global level, so it now receives various perks, such as a VIP factory tour. The current referral program offers owners the opportunity to gift five friends with a $1,000 discount and free unlimited Supercharging. Back to those “Secret Level” screenshots: they show a new referral program where owners would receive a ten percent discount on the "Next Gen Roadster" if they refer five friends to buy a Model S or Model X (not the Model 3, mind you). Once owners manage that, for every five more referred friends, they’d continue to receive 10 percent off the price of the Roadster. Doing the simple math will show that 50 referrals means a free Roadster. This sounds much easier said than done. Finding 50 people who can afford a $70k + plus luxury EV isn’t easy, but it’s not outright impossible.